Asia-Pacific agri-food systems are increasingly dependent on the use of knowledge to strengthen innovation processes, such as technology generation, adaptation, and application. Stronger processes for collecting, analysing, organizing, accessing, using and sharing scientific information for knowledge creation, problem solving and decision making are required. Combined with partnership and networking, capacity development and advocacy, knowledge management can better facilitate engagement and collaboration that contribute to improved scaling up and out of successful agricultural practices, enhanced agricultural investment, and a higher level of trust among stakeholders. APAARI members and partners will implement these strategies, for example, by coordinating and facilitating face-to-face and online interactions; facilitating participation and engagement of primary stakeholders in regional and global events; sharing information and knowledge for faster scaling up and out of successful innovations; improving communication tools, such as website and social media; linking with knowledge tools of members and partners; training and mentoring of primary stakeholders in improving data collection, analysis and evaluation, and using knowledge tools; supporting projects that improve data collection for research, compilation, management, analysis, evaluation and application, e.g. 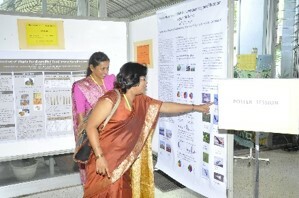 Agricultural Science and Technology Indicators (ASTI) Project; and disseminating data and analysis. APAARI members and partners will implement these strategies, for example, through initiating and implement strategic partnerships in technical areas; bringing public, private and community sectors to expert consultations and policy dialogue; facilitating engagement between public, private and community stakeholders, as well as with regional and global partners; promoting partnership with regional and global initiatives; encouraging stakeholders to engage in existing regional and global multi-sector networks; and assessing the contribution of current and potential stakeholders to the collective action. the transformation of agri-food systems in the Asia-Pacific region needs to be built on scientific advances, improved and validated technologies and adoption at scale. This can only be achieved by developing and strengthening capacity at three levels: individual, organizational and institutional. This and other key concepts and principles are set out in the Common Framework on Capacity Development for Agricultural Innovation Systems (CDAIS) developed and endorsed by the partners of the Tropical Agriculture Platform (TAP), APAARI included. APAARI members and partners will implement these strategies, for example, by conducting meetings, workshops, expert consultations and policy dialogues; using online and face-to-face interactions to create a culture of discussion and communication amongst members, partners and other stakeholders; encouraging and sharing of resources – knowledge, human, technical and financial – to strengthen institutional arrangements, efficiency and effectiveness; creating opportunities for training, scholarships, and exchange programmes; facilitating the sharing of experiences and expertise among primary stakeholders; developing and sharing guidelines; coordinating training; and facilitating participation of disadvantaged stakeholders in training programmes and post-training mentoring.